Today all I had left in this cardigan was the pockets and elbow patches. 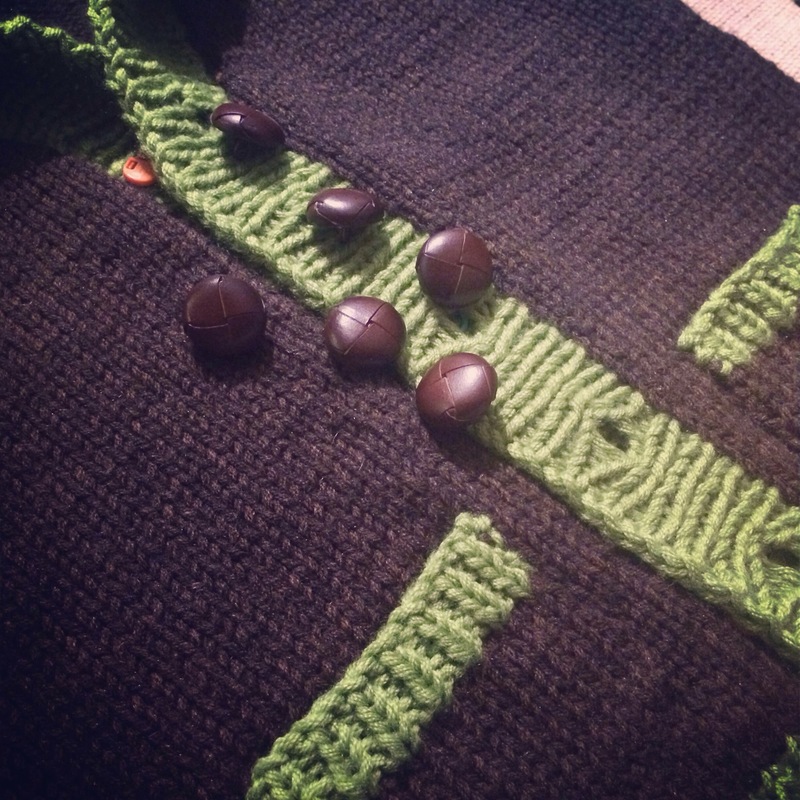 Luckily we were able to squeeze in a trip to Imagiknit for buttons, and I finished the embellishments while we watched Toy Story this evening. After the kids were asleep, only the buttons remained! As you can see, I chose super gramps-y buttons! I always forget how little I enjoy sewing on embellishments! I did okay to poorly with the elbow patches, but I might just let them be. I secretly hope that I can spiff them up with blocking. 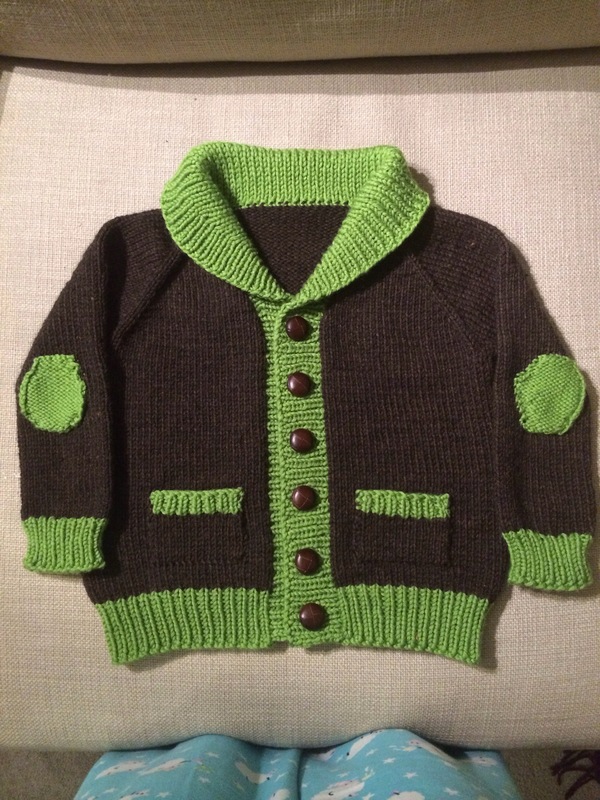 Wishful thinking, probably, but overall, I’m satisfied, and more importantly, it both fits and pleases the wee boy! Love the buttons. Great job.